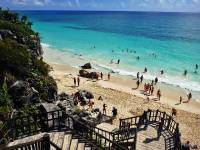 We arranged our Xel-Há Tulum Tour directly with our hotel. 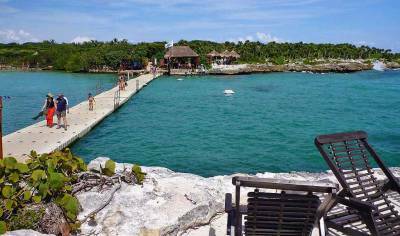 The fee included pick up at our hotel at the Gran Bahia Principe Tulum. First we bused to the Tulum Ruins. Then we all got back on the bus and we rode to Xel-Há Park to spend the rest of the day. There were options for busing back to our hotel afterward, but we were close enough that we took a cab back after a fabulous day. 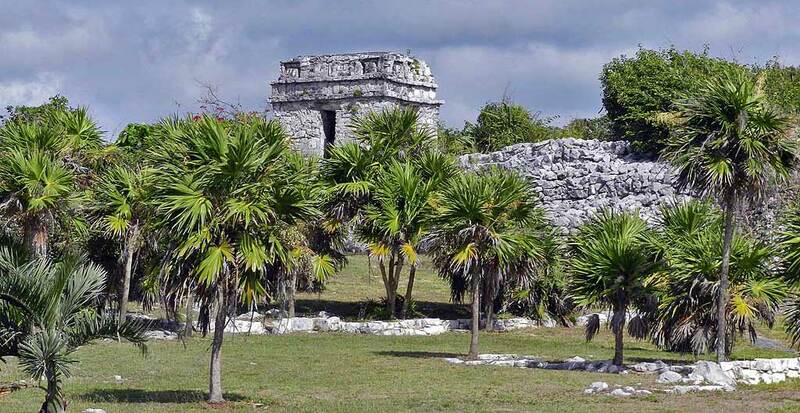 The Mayan Tulum ruins are about 1.5 hours south of Cancun. 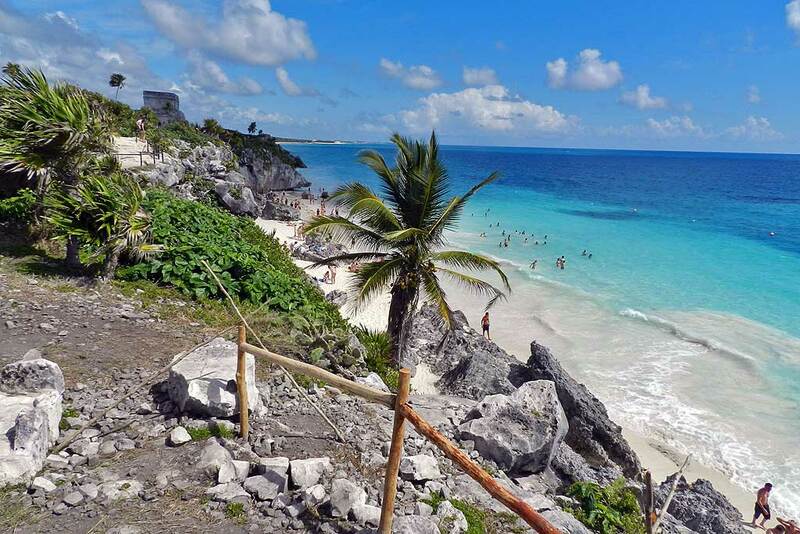 Fortunately our hotel was less than a half hour away on our Xel-Há Tulum Tour. 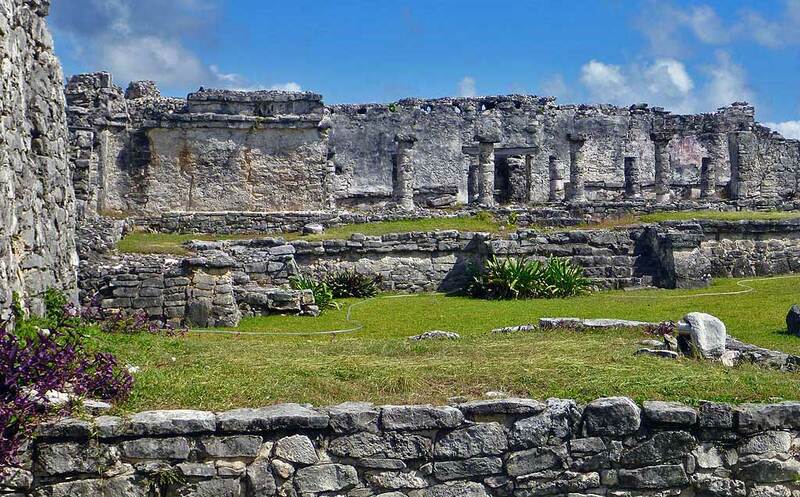 The Tulum ruins were interesting, but the site was over-run with tourists. Consider taking a cab or colectivo so you can arrive early in the morning or late in the afternoon. That way you will miss the organized tours. At the entrance, you can walk in to the ruins or pay a few dollars to ride the open air tractor-drawn trolleys. 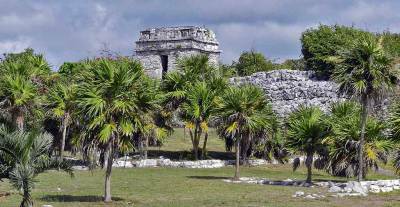 The Tulum ruins are not large. 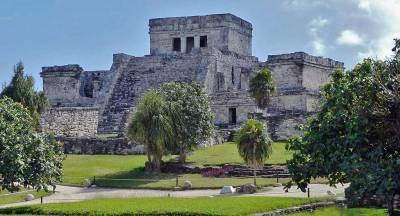 The pyramids are small compared to Chichén Itzá, but they are still worth seeing. 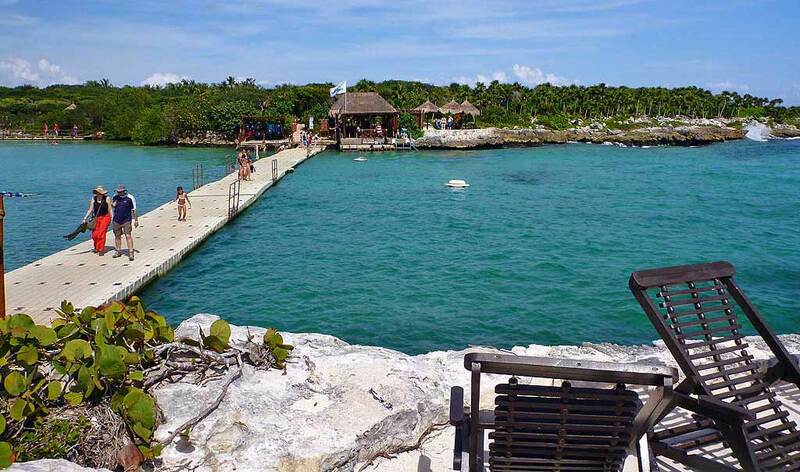 Don’t forget to wear a swim suit so that you have an option to enjoy the beach at the base of the main pyramid. 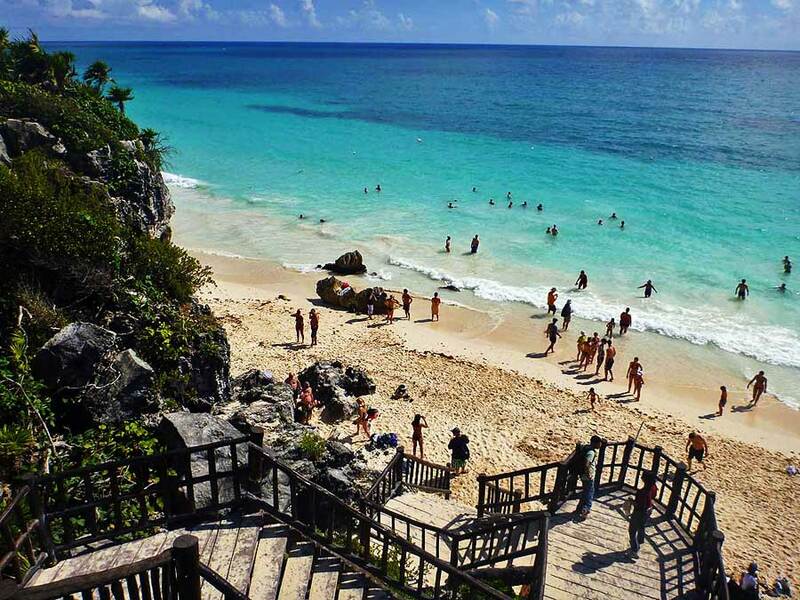 The beach at the Tulum ruins is one of the nicest on the Riviera Maya. The second part of our Xel-Há Tulum Tour was Xel-Há Park. 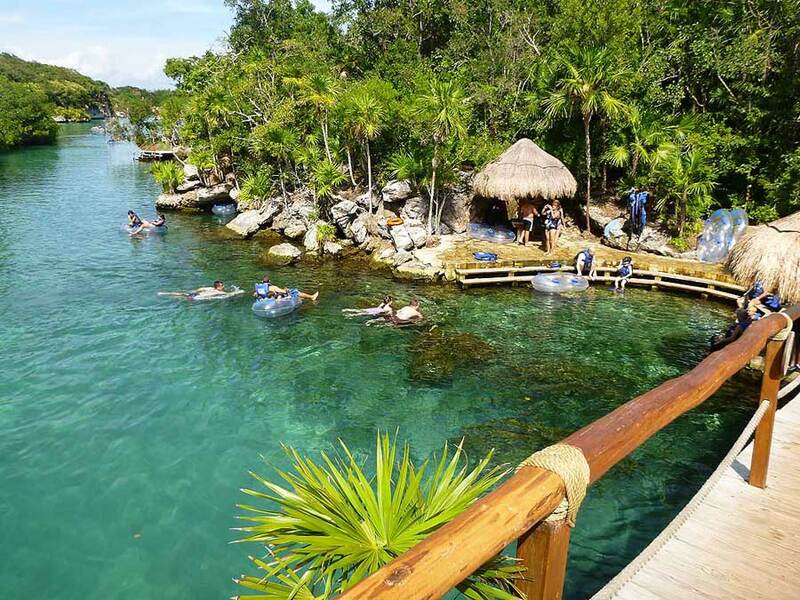 Xel-Há Park was a pleasant surprise, because this amusement park has something for everyone. The Xel-Há Park extends around a large saltwater lagoon off the Caribbean Sea. 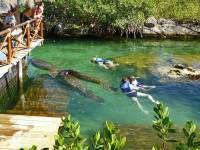 The park has acres of jungle, snorkel locations and even a freshwater river tube float. 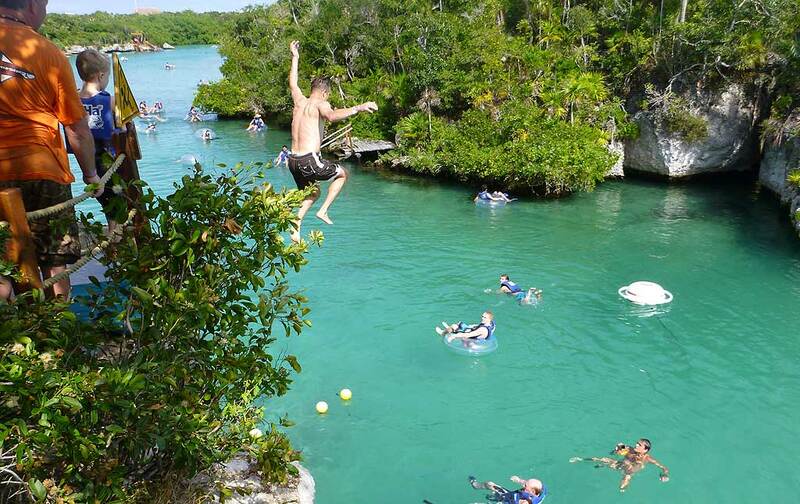 You can snorkel in the lagoon, swim into saltwater caves or zip-line over the lagoon. You can also cliff jump into the river. 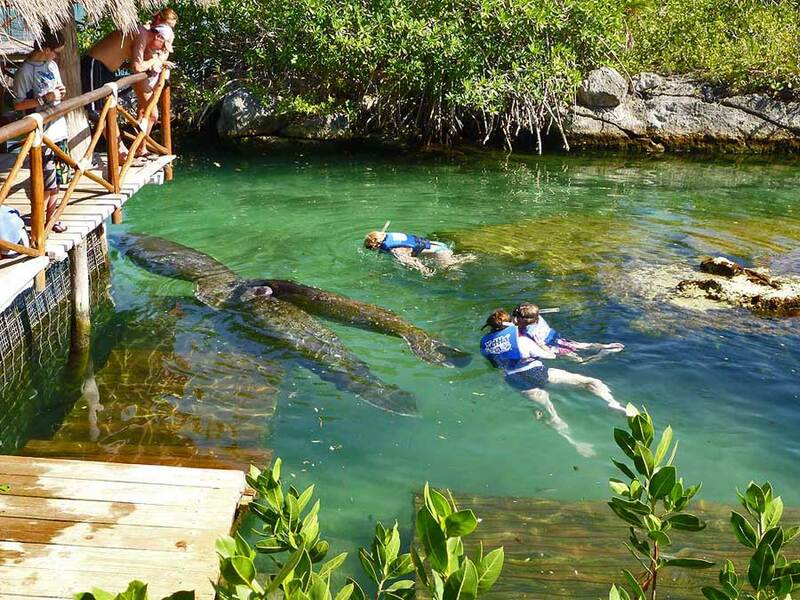 Freshwater pools called cenotes are in the park too. 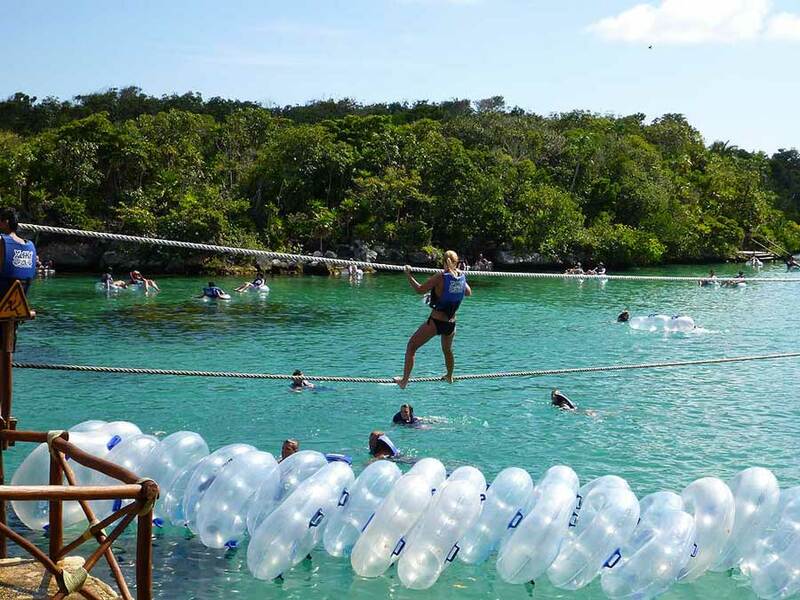 Included in the price you will get meals at 4 restaurants, all alcohol and soft drinks, snorkel gear, inner tubes, life jackets, cliff jumping, zip-lines and even towels are provided. Corona beer was on a self-serve tap. Disneyland could learn something from the truly all inclusive approach – it was fabulous. 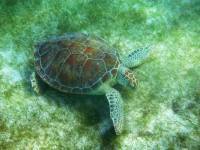 Plus for a fee you can interact with dolphins and with manatees or snuba dive. 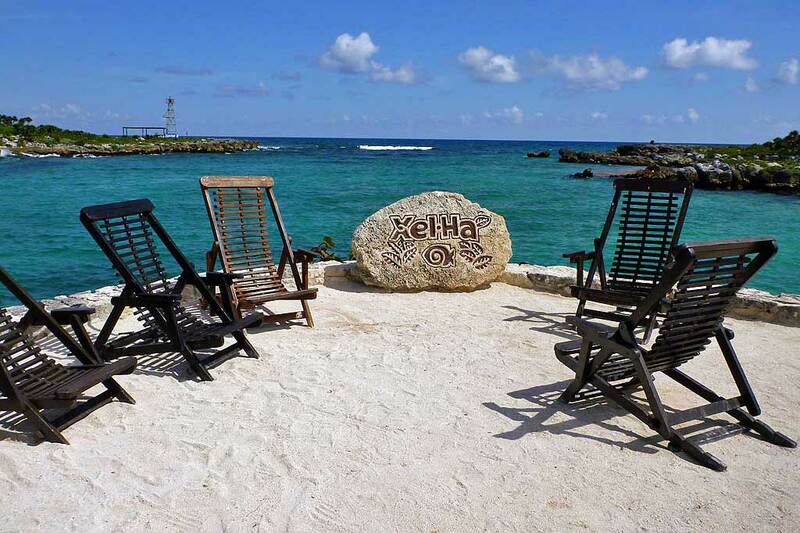 Xel-Há Park is a great way to spend a day on the Riviera Maya. This is a very popular park, but there’s lots of room for everyone. What a great day!